What type of Australian visa are you looking for? This visa allows you to visit Australia as a tourist. It is electronically applied to your passport. There is also no stamp or label placed in your passport. If you have a criminal record, you will be ineligible for an ETA. You can instead apply for a Subclass 600 Visitor Visa. For those travelling to Australia for longer than 3 months, you may also consider applying for a Subclass 600 Visitor Visa. This visa lets you visit Australia to visit for up to three, six or 12 months. As well as being able to travel to Australia for tourism purposes, the ETA also allows the traveller to carry out business visitor activities such as making general business or employment enquiries, negotiations or participating in a conference. This visa also lets you visit Australia for business visitor purposes as well as tourism visiting. 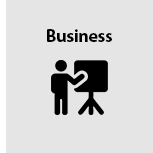 Allows business people to establish a new, or develop an existing, business in Australia, or to invest in Australia. You can apply for a Business Innovation and Investment (Permanent) visa (subclass 888) (if eligible). 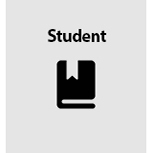 Allows a student to study in a registered, full-time course. This visa permits you to provide care and support for a student visa holder who is under 18. Study (usually for up to 3 months). 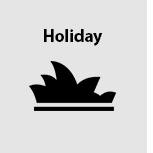 Allows young people to have a holiday and work in Australia for up to a year. Applicants who complete 3 months specified work in regional Australia might be eligible to apply for a second year. Not have come to Australia previously on a Work and Holiday visa (462). 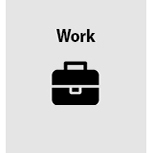 The Temporary Work Visa permits travellers to do short-term, highly specialised, non-ongoing work. In limited circumstances, some travellers will be permitted to participate in an activity or work relating to Australia’s interests such as assisting in a natural disaster. This visa is for international students who have recently graduated from an Australian educational institution. It lets you live,study and work in Australia temporarily after you have finished your studies. Students are only able to access the Temporary Graduate visa (subclass 485) once as a primary applicant. Allows engineering graduates to gain work experience in Australia. Not have been the primary visa holder of a subclass 476 or 485 visa. Allows a person to work in the entertainment industry, as a full-time religious worker, as a domestic worker for certain executives or as a superyacht crew member OR participate in cultural or social activities at the invitation of an Australian organisation, high-level sports competition, a research project, a reciprocal staff exchange for a skilled position, an Australian government endorsed event or other specific event or a special program approved by the Department. Stay in Australia for the period that aligns with the activities that you have been approved to undertake on this visa.